Sakai Guides and DocumentationSakai Basics Creating Accessible ContentWhy should I use paragraph breaks in my document? Images with examples of paragraph and line breaks. The first image above depicts a poem, Mary Had a Little Lamb, where line breaks were used to separate each line. In the second image, paragraph breaks separate the lines. 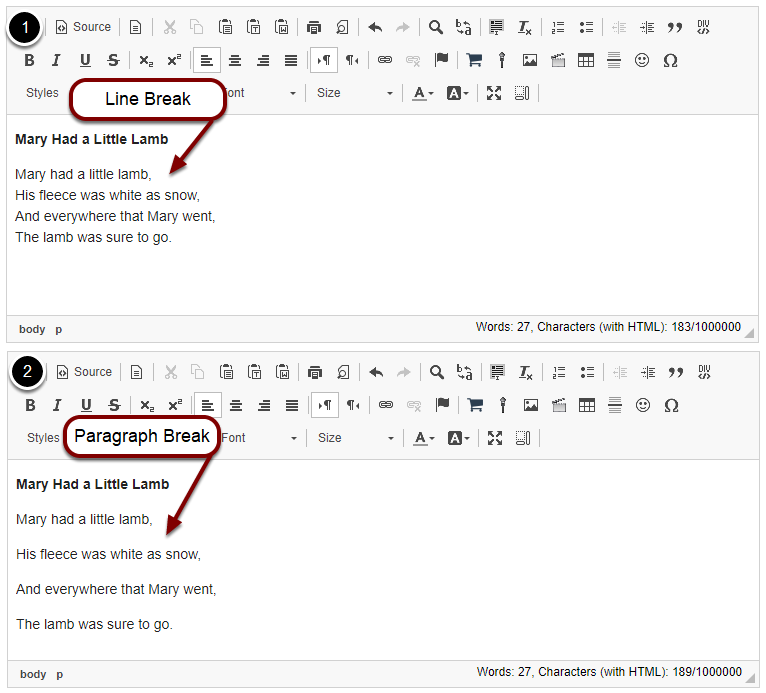 While the line breaks may "look better" for a visual reader, a screen reader user will hear the poem that is split up with line breaks as one contiguous sentence: "Mary had a little lamb, his fleece was white as snow, etc." Prev: How can I structure my document to make it more accessible?